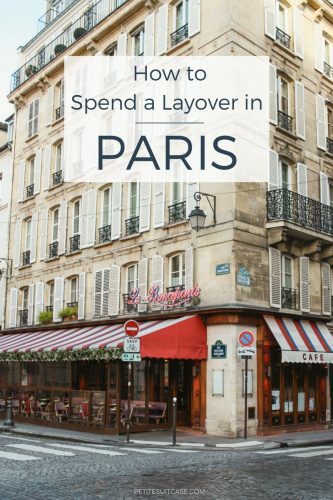 Wondering how to spend a layover in Paris? On the way back from Strasbourg, we had a short layover before our flight. Our train arrived around 10:00 am and we only had about 3.5 hours before we needed to leave for the airport. 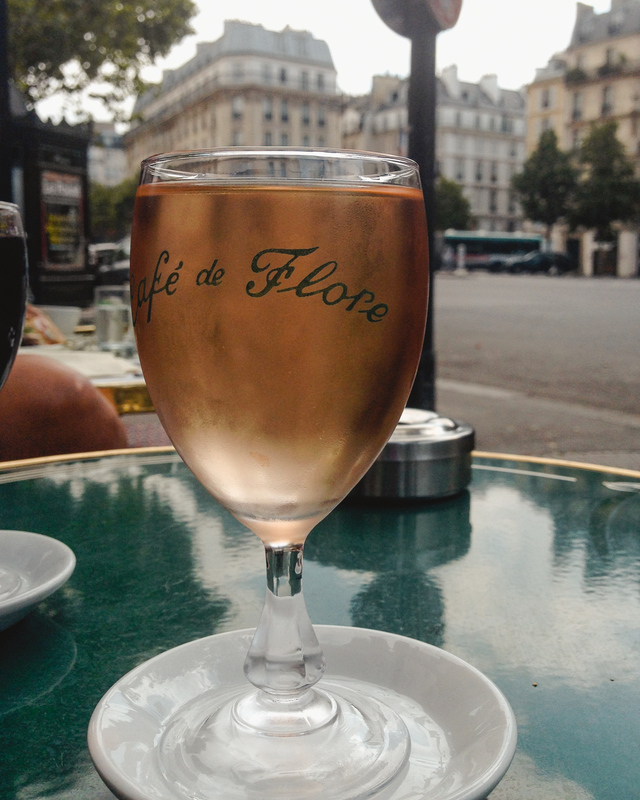 Even though this was a very short layover in Paris, we still managed to have a few quintessential Parisian experiences. 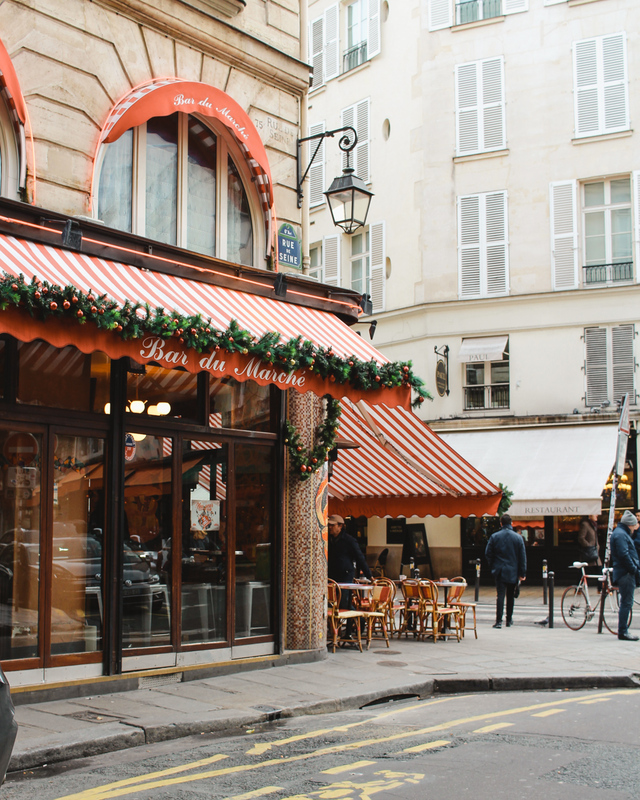 I usually spend the most time in Le Marais and Saint Germain when I visit Paris, but we only had time to visit old favorites in one. 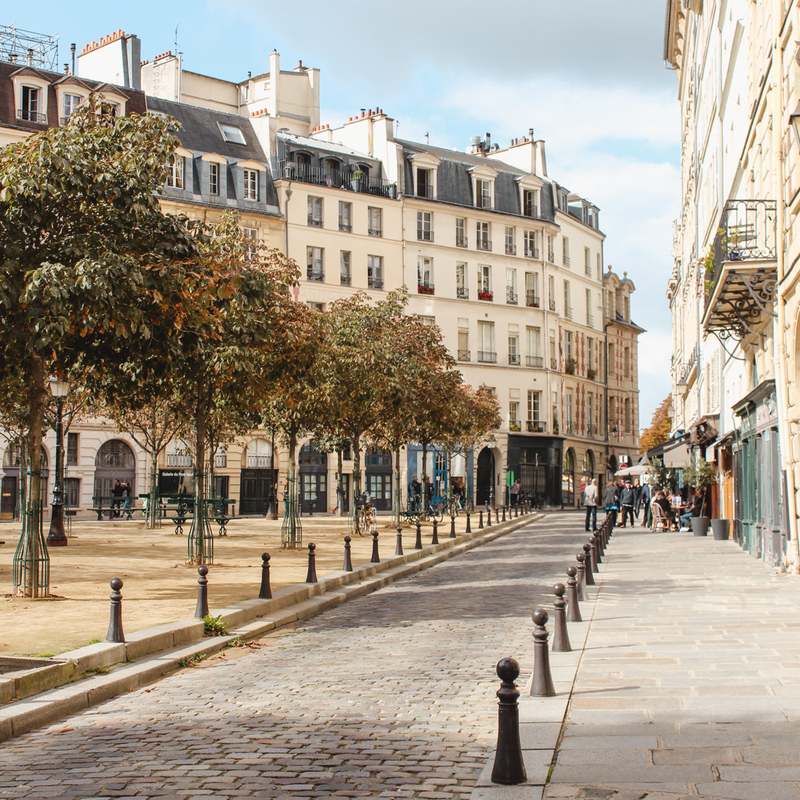 With only a few hours in the Saint Germain area, here’s how to spend a layover in Paris. 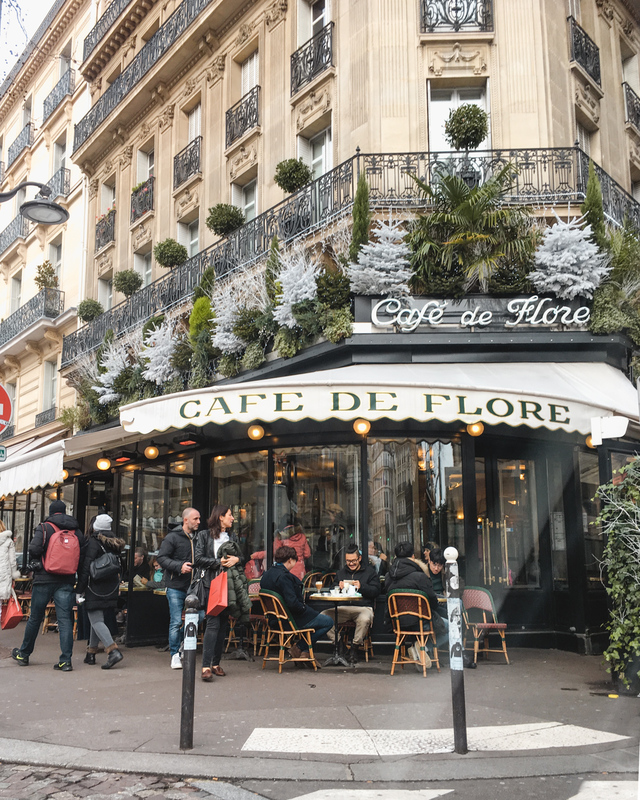 Take the metro to the Saint-Germain-des-Pres stop (about 40 minutes from the train stations, but a little longer from the airports). 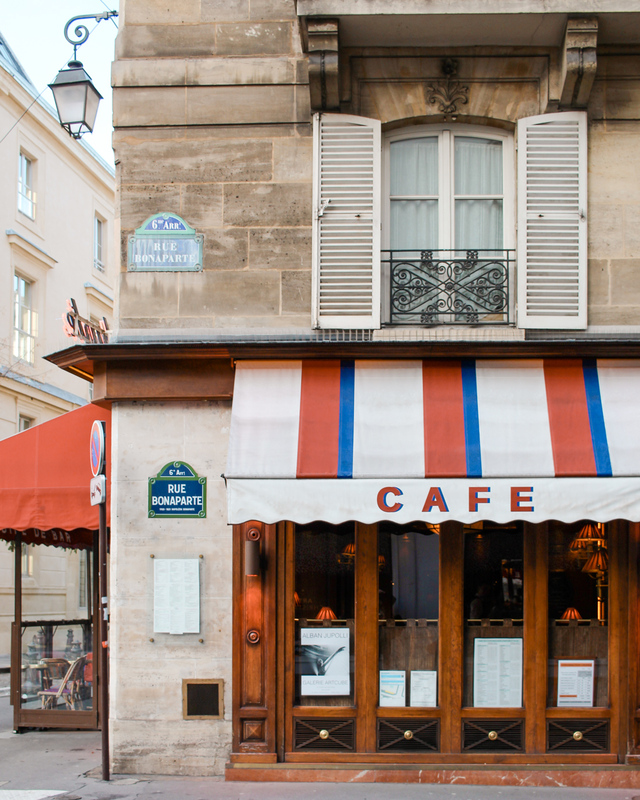 Once you arrive, make a beeline to a café. 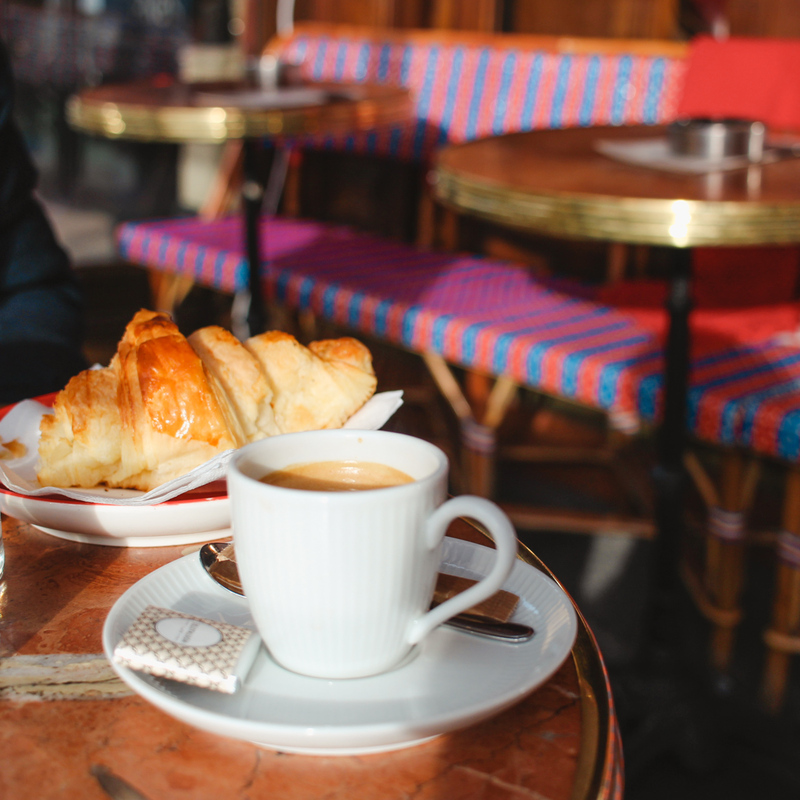 Have your morning coffee and croissant at Le Bonaparte or Café de Flore. I really love the patios at both of these cafes. I could sit here for hours and people watch. 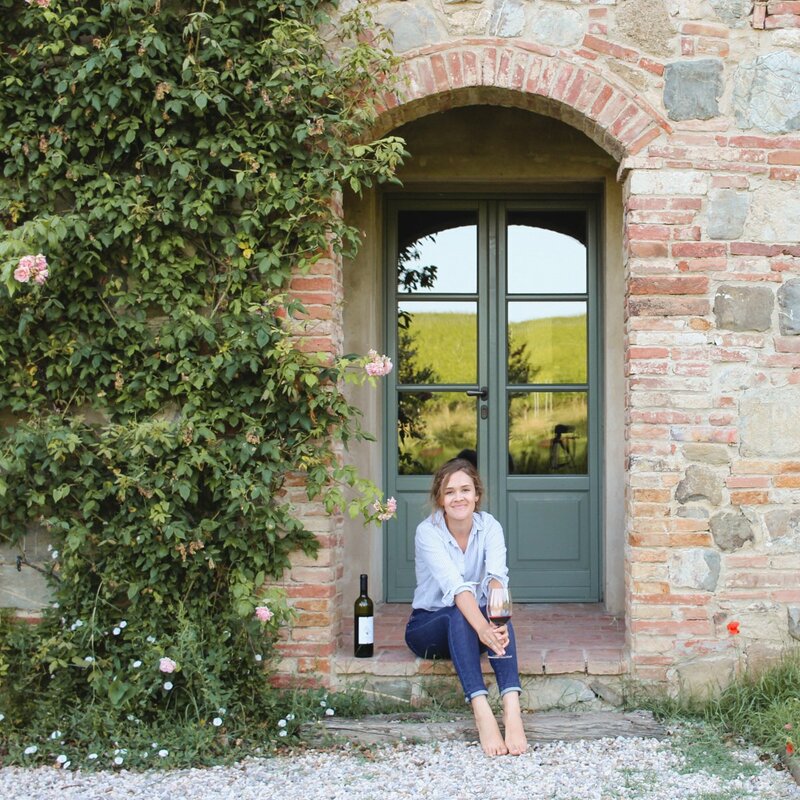 Both are excellent choices for a glass of rosé in the afternoon as well. Drop into a few shops to get some special souvenirs. 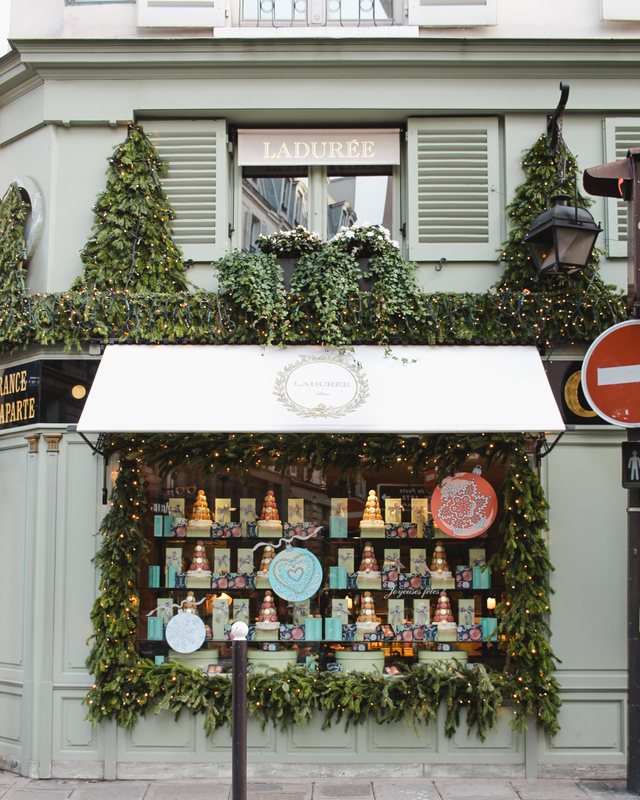 Ladurée and Pierre Hermé are two excellent pastry shops that make those little delightful macarons. Mogador is the signature flavor of passion fruit and milk chocolate at Pierre Hermé, and it’s not to be missed. If you have the focus and determination, you can run into CityPharma. And, I mean run. You could easily get lost in this discount cosmetics store for HOURS trying to find the fountain of youth. 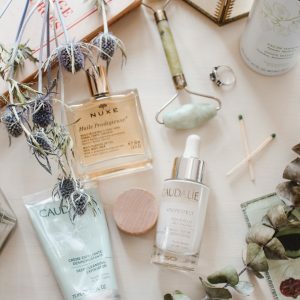 Navigating the crowded aisles of French potions, creams and serums can be quick though. Research a few items ahead of time, get in and get out. Caudalie is always my go-to for French beauty. I alternate between this serum and this one. I use this glycolic toner and this scrub three times a week. There are tons of restaurants in this area, but I chose the quaint creperie Candelma. 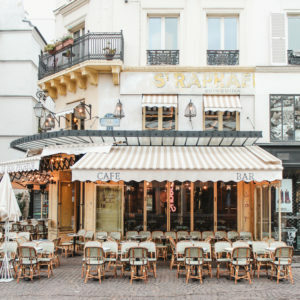 Get the 15 euro lunch special that includes a drink, a savory crepe and a sweet one for dessert! How much you can see here will really depend on how time you have and your priorities. 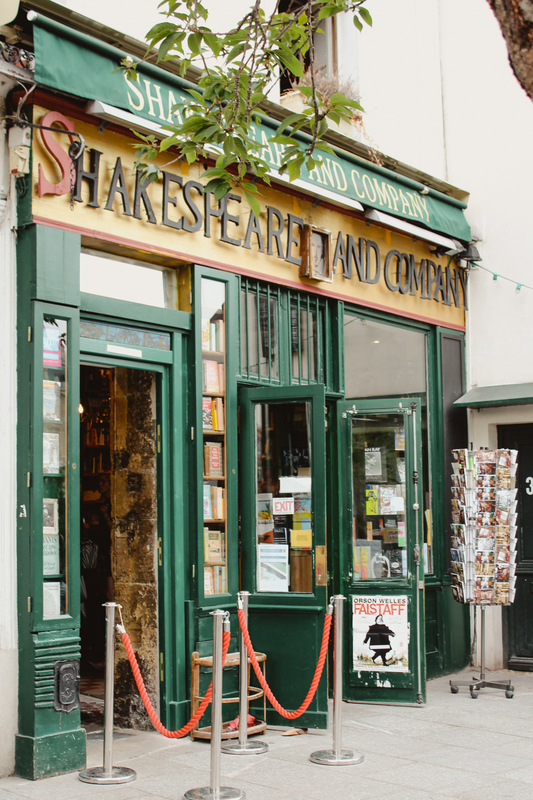 Place Dauphine, the Notre Dame Cathedral and Shakespeare & Co are all within a 10 minute walk. If you’ve never been to Paris before and haven’t seen the Eiffel Tower, you can cross the Pont Neuf here and see the top of it from the bridge. I almost always take public transportation, but since we had so little time we opted for an Uber to the airport. An Uber actually ended up being only a little more expensive. It’s about 12 euro per person to get to the airport, and the Uber was only 35 euro. Alternatively, you could also use the Saint-Michel metro/RER station to get to the airport. We had two carry ons and my dog, Alfie. 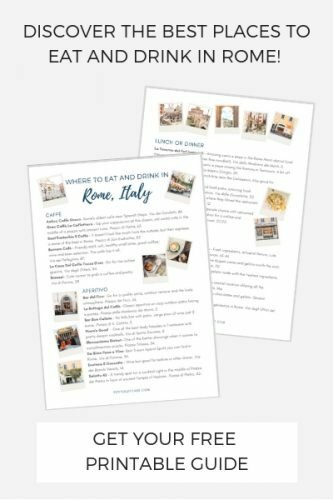 So, while it wasn’t ideal to do this itinerary with luggage, it is 100% doable. You could also store your luggage at the airport if walking around with your carry on doesn’t seem appealing. It looks so pretty there. There is a lot to do in Paris for sure. Thank you, Courtney! Any minute is sure to be special in Paris! I’m always missing Paris. It’s such a special city! 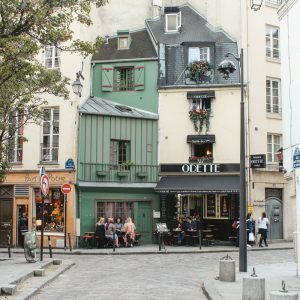 Beautiful photos of Paris, I love that city! Thank you, Magda! I love Paris too! Thank you! Paris is amazing! 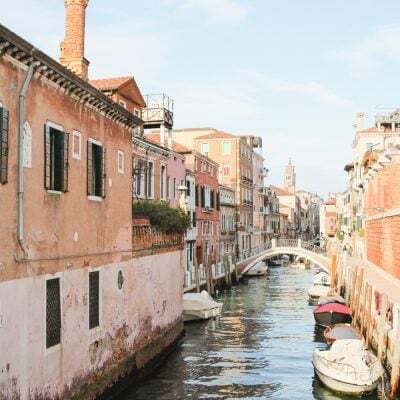 I have a 7.5-hour layover at Gatwick this summer, and while that’s farther from town (and obviously London, not Paris), this post is helping me believe I can make something of it. I think 7.5 hours is enough time to go into town and at least get a bite! Hope you enjoy it!